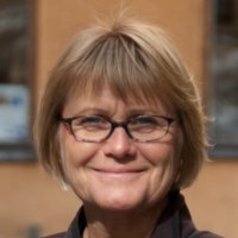 Monica Nilsson is an associate professor of early childhood education at the School of Education and Communication (HLK) at Jönköping University in Sweden. Monica Nilsson's research is primarily about learning, change and development based on sociocultural and activity theory perspectives. The focus has been on the change in preschools as well as learning and playing in different institutional contexts. She is the scientific director of the research project Playworld and exploratory learning which is about the meeting between two pre-school educational approaches: Playworld and exploratory learning and pedagogy of listening. Playworld is a shared child-adult play based activity built on imagination and art/aesthetics. Exploratory learning takes its inspiration from the Reggio Emilia preschools.